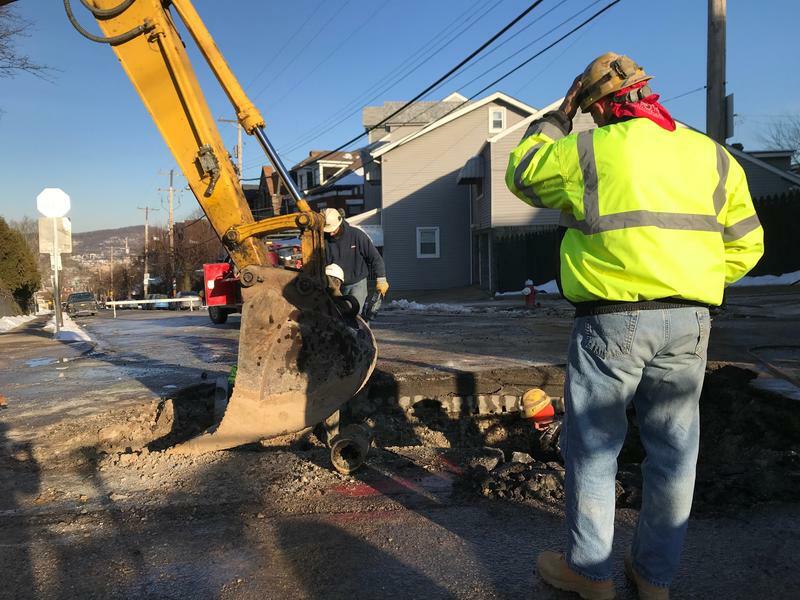 A crew fixes a water main at Penn Avenue and Fisk Street in this Jan. 19 photo. PWSA contracted Michael Baker International for $2.8 million to do the inspections. 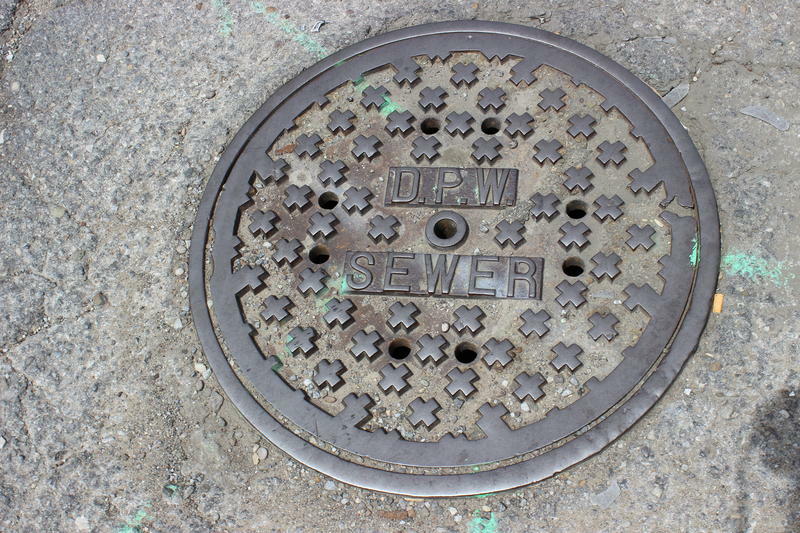 Opening up a curb box allows crews to identify what the public and private sides of a water line are made of without having to dig holes all over the city. The project will prioritize homes that lack historical records showing what the pipes are made of. Eventually the company will do work in each of the council districts, said Pickering. A November 2017 consent order from the Department of Environmental Protection requires PWSA to create a pipe material inventory for the entire system and to reduce lead infrastructure by 7 percent—or 1,341 service lines—by the end of June. The authority can’t say for certain where or how many lead lines there are (hence the mandated inventory). But in the interim, PWSA estimated for DEP in September 2016 that likely 27 percent of the system was made of lead. Because PWSA halted partial lead line replacements last year, the authority did not meet its 2017 replacement target of 1,341 lead lines. It'll have to finish the remaining 730 by June 30 and another 1,341 by Dec. 31, 2018. In order to avoid partial line replacements, the authority will offer to replace the private side of any residential lead lines workers encounter. Previously, PWSA wasn’t permitted to make residential line replacements, but a change in the Municipal Authorities Act -- made last year -- allows it to do so. For 2018, PWSA’s board of directors approved a $44 million budget for public and private lead line replacement, said Pickering. Pickering encouraged homeowners to contact PWSA with any questions or concerns. While the authority will replace both the public and private sides of the line, as well as restore the sidewalk at no cost to the resident or property owner, it cannot commit to restoring any ornamental landscaping, retaining walls, stairs or driveways that may be impacted. Pickering said the contractors are incentivized to design around those kinds of features. 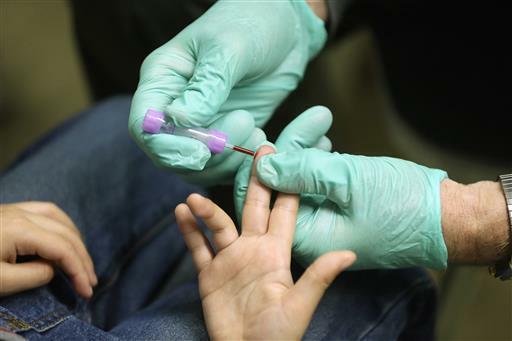 In addition, $1.8 million has been dedicated to replacing lead lines for low-income customers who meet the eligibility requirements, which is 250 percent of the federal poverty level. That project is being administered by Dollar Energy Fund. Pickering estimates that the initiative will cover roughly 250 lead line replacements. Pittsburgh Water and Sewer Authority has sent letters to 2,500 residential customers warning of an impending shut-off.